Tick populations have been on the rise across Canada for several years now, and like it or not, those buggers are here to stay. With this rise comes an increased risk of tick-borne illness like Lyme disease, which has received much attention in the media for the serious health effects it can have in people. But what about our pets? Dogs and cats are affected differently than people, and it's important to understand these differences to decide how best to keep the whole family safe. When is Lyme disease a risk? Lyme disease is caused by the bacteria Borrelia burgdoferi, which is spread by the blacklegged tick (sometimes also called the deer tick) Ixodes scapularis in Eastern North America and its cousin Ixodes pacificus on the Pacific coast. These ticks tend to live in wooded or grassy areas, but can be found anywhere there is vegetation. They wait patiently before climbing onto a passing host in a process that is called "questing". While many people think of tick season as being in the Spring and Fall, ticks actually show questing behaviour any time the temperature is even slightly above freezing. This means ticks are active on unseasonably warm days even in January and February. After being bitten by a Lyme infected tick the majority of people (about 80%) will develop some combination of signs within a few weeks including a rash, flu-like symptoms and joint pain. Left untreated, there are less common but more serious long term effects like neurologic abnormalities and cardiac arrhythmias that can also develop. Conversely, most dogs bitten by a Lyme infected tick will never show any signs of illness, even years after exposure. This is not to say the disease is a non-issue in our canine companions, but their risk of infection following exposure is less likely (closer to 10%), and the disease tends to be less serious and more easily treatable than it is in humans. When dogs do get sick with Lyme disease, they show signs of lethargy, decreased appetite or sometimes swollen joints and lameness. 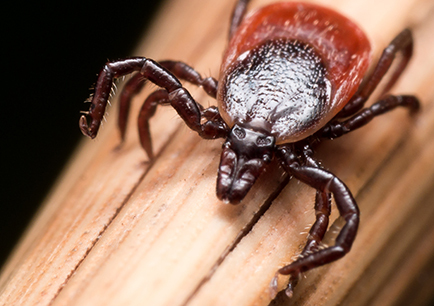 These signs can take weeks, or months to show up following the inciting tick bite, and generally respond well to a 30-day course of antibiotics. When long term chronic infections go untreated we occasionally see joint pain (sometimes mistaken for arthritis), or a specific type of kidney disease. Lucky for our feline friends, they are even less at risk than dogs. While they can still get other tick-borne illnesses, clinical Lyme disease in cats is classified as extremely rare, or even non-existent. Even if our pets are less susceptible to the effects of Lyme disease than we are, keeping them tick free will help not only their health but that of your entire family as well by reducing the number of ticks that could possibly enter your home. So, what steps can you take? 1. Get in the habit of doing regular tick checks for both you and your pets, and know what to look for. Click on this link for a fun video from Tick Man Dan on how to properly check the whole family for ticks. Keep in mind ticks are quite small, and can be difficult to see in animals with heavy coats. For those pets, try using your hands to feel for something that resembles a "skin tag". If you take a closer look and see legs moving, it's a tick! 2. Know how to remove a tick if you find one. The technique is the same for both pets and people in that you want to grasp the tick as close to the skin as possible. Don't use your fingers, use either fine tweezers, or better yet a product like the Tick Twister or Tick Key. Removing the tick as soon as possible will help reduce the risk of disease transmission. If removed within 24 hours of a bite the risk of Lyme disease is significantly decreased. Remove the entire tick... breaking the tick and leaving mouthparts behind under your skin can lead to local swelling and infection. After removing the tick, clean the site with soap and water. 3. For pets who roam beyond the comfort of their home and city sidewalks, the regular use of a tick-preventive medication is your best tool. Tick preventive medications are different than those that prevent heartworm disease (a different infection that is spread by mosquitos, not ticks). This can be a point of confusion for many people, and it's not uncommon for people to mistakenly assume their pet is covered against ticks when they are not. Tick prevention may be required for different parts of the year in different climates. 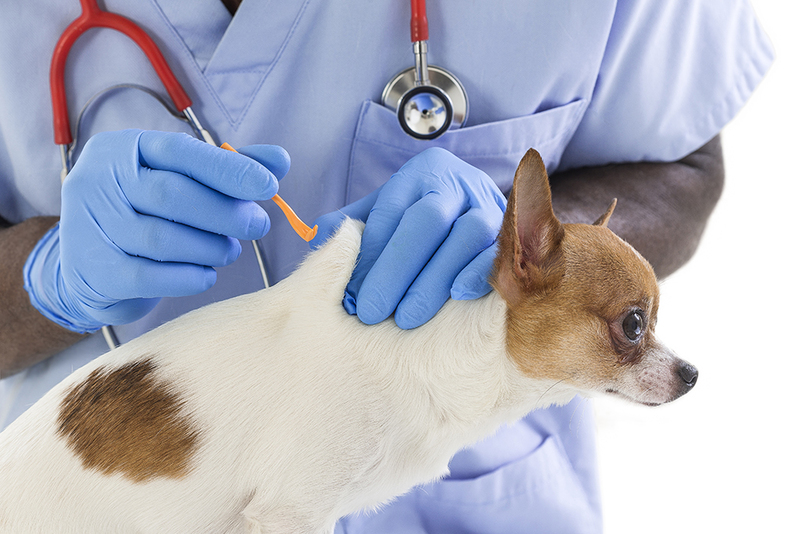 Given the current state in the Ottawa area, I recommend flea and tick prevention year-round ideally, or at least for 9-10 months of the year depending on weather (roughly March - December). Until recently, we really didn't have any effective tick preventive medications that were safe for cats, but thankfully there are new medications that have become available over the last few years. If your cat goes outdoors it's best to ask your veterinarian about your options. If you travel to areas that are a higher risk for Lyme disease (e.g. 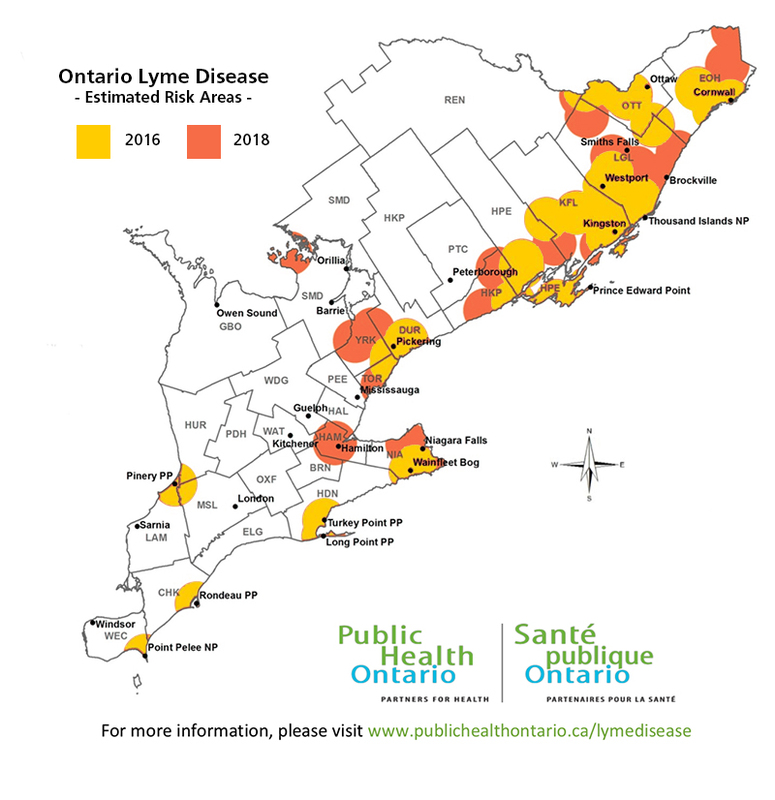 Kingston area, the 1000 Islands, New York State, Connecticut), or if you continue to find ticks on your pet despite using tick prevention a Lyme disease vaccination is probably a good option for your pet. While vaccination will prevent your dog from getting Lyme disease if bitten by an infected tick keep in mind that a) this risk is already low, and b) it does nothing to stop your dog from bringing ticks into the house where they can affect other family members. Currently, there is no Lyme disease vaccine for either cats or people. 5. Consider screening your dog for Lyme disease regularly. If your dog has a positive test but is not showing any signs of illness the most likely scenario is that no treatment will be recommended. That being said, knowing your dog's Lyme disease status will alert your veterinarian to the need for tracking a specific type of urine test to monitor for early signs of Lyme induced kidney problems. It could also alter treatment if your dog starts showing signs of arthritis earlier than expected. Previously, veterinarians used to be able to submit ticks removed from animals for testing through the Public Health Agency of Canada, but unfortunately, that program is no longer in effect. Ticks that have bitten humans in the City of Ottawa can be submitted to Ottawa Public Health for testing. All Treatwell Pet Care Premium plan members get free year-round flea and tick medication delivered to their door! Essential plan members can also have these products delivered at a competitive price. Intersted in signing up or learning more about the membership? Just click below or contact us by phone or email.